Happy Thursday!! 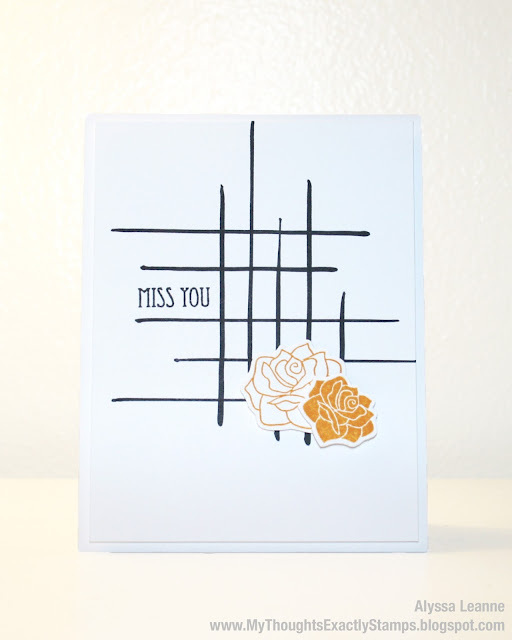 I'm on the Sweet Stamp Shop Blog today and I am SO excited to be sharing my very FIRST post with you as a member of the Sweet Stamp Shop Design Team!! And let me tell you, my new "job" here at SSS could NOT be more perfect for me! 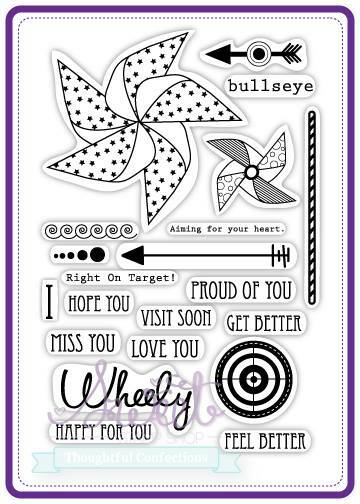 On (most) Thursdays I will be here on the blog with "Triple Sweet - 3 Cards, 3 Ways, 1 Challenge" where I will be sharing with you my favorite challenges from all over blog land and I will be showing you THREE different ways to tackle that ONE challenge! SUPER fun, don't ya think?? So, without further ado, let's get to it! Runway Inspired Challenge (or RIC as you will often see) is a bi-monthly challenge that offers an image of a current runway outfit as inspiration. Participants can enter the challenge as many times as they would like. With every challenge a new prize is offered, the entries are judged, and the winner is chosen by the RIC Design Team. First and foremost I love RIC because it is DIFFERENT! I feel that most challenges offer a theme, sketch, or color palette to inspire you, which is fantastic. But for me, RIC offers a sketch, color palette, and sometimes even a theme all in one, without directly offering each of those things, and that is DIFFERENT! With RIC you can choose to be inspired by the colors in the outfit, the patterns in the outfit, the layout of the outfit, the era the outfit references... It's really up to YOU to choose how the runway photo inspires you, and I love that. Another thing I love about the RIC is that it is judged. Now this may seem daunting at first, but let me tell you why it rocks: It MOTIVATES me. When a challenge is judged I feel WAY more accomplished when I win. And even if you're a novice crafter and you think there's no way your skills are up to par, I promise you CAN win! You just have to keep at it, keep MOTIVATED, keep trying! Is it too cliche if I say "If at first you don't succeed, try try again"? Can't you just see all the possibilities?? Pattern - Color - Layout... What will you choose? I created the patterned background simply by using a ruler and my black Copic marker, leaving a space for my sentiment. Then I stamped the two flower stamps from the Dia De Los Muertos Sweet Stamp Shop set, cut them out, and popped them up. 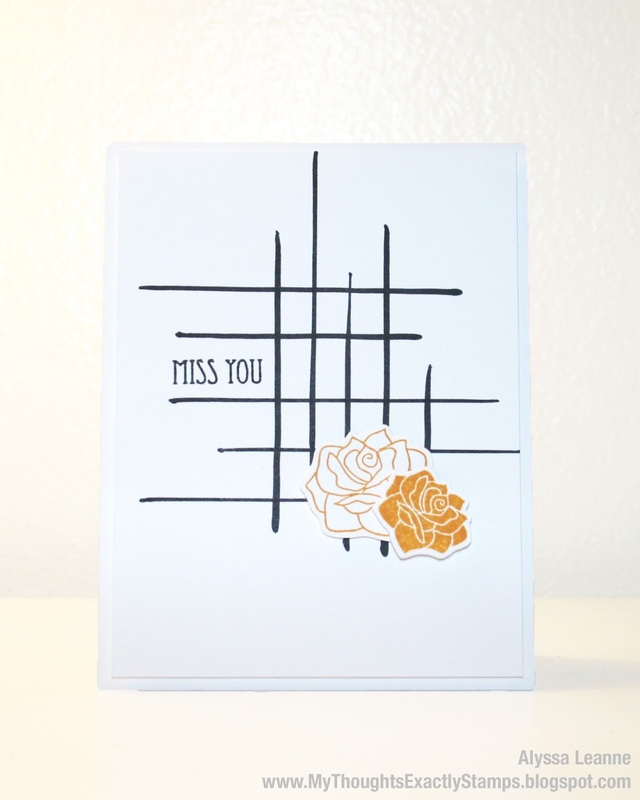 Finally I stamped the Miss You from Wheely Like You Sweet Stamp Shop Set. I created the sort of "ombre" background using my watercolors and watercolor paper (side note: watercolors are my newest OBSESSION! So I hope you don't mind if you see quite a bit of water coloring from me!!). 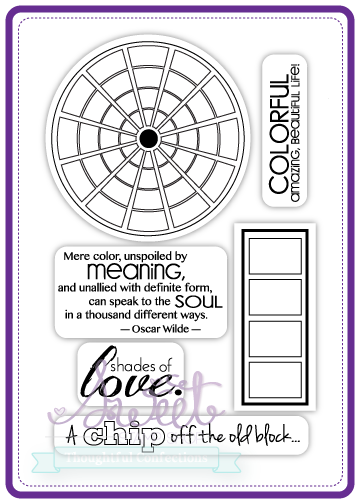 Then I stamped the color sentiment from the Color Wheel Sweet Stamp Shop set on a scrap of white. 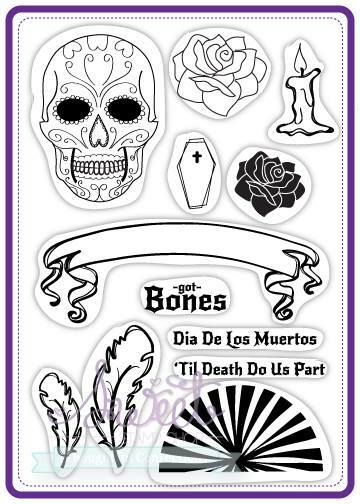 Finally I stamped the feathers from the Dia De Los Muertos Sweet Stamp Shop set, cut them out, and popped them up. For this card I wanted to go a little crazier, I created a Halloween card! 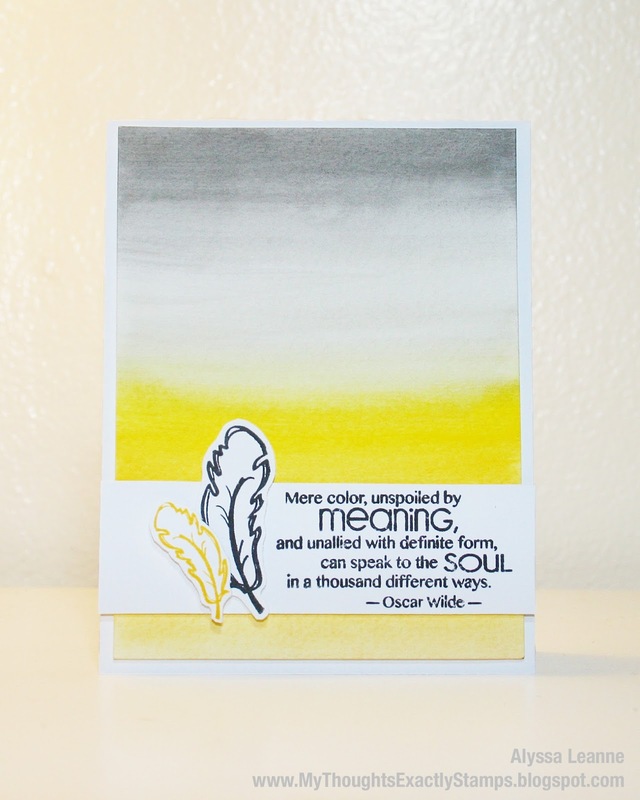 I started by choosing the striped patterned paper, as well as a solid yellow. I layered these two pieces and wrapped them with a piece of yellow twine. 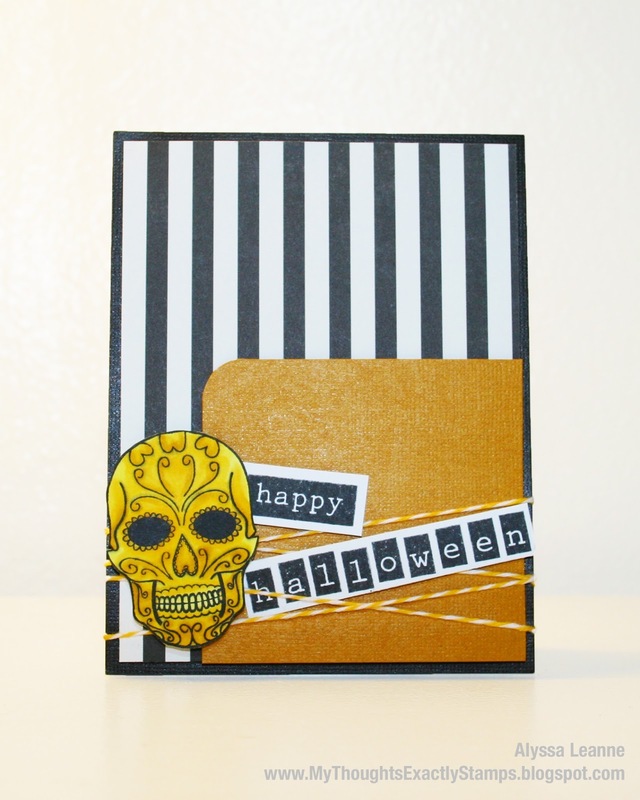 Next I stamped the skull from the Dia De Los Muertos Sweet Stamp Shop set and colored it with my Copics. Last, I stamped out "happy halloween" using the Alpha Tabs Sweet Stamp Shop set. So what do you think sweet friends? Are you feeling motivated to give the RIC a shot? I sure hope so!! And if you DO, I would LOVE to see what you create! Leave me a comment with a link to your RIC entry so I can check it out and leave you some love!! Also, what is YOUR favorite challenge to play along with? Leave me a comment and let me know! Before I go I wanted to give you a quick reminder: The SSS September release is coming!!! You DON'T want to miss this one! It is SO ADORABLE!! Be sure to join the September Release Facebook Event so you don't miss a thing! PS. Have you checked out the SSS Pinterest and Flickr pages? I'll see you again next week for the September release!! I just had to visit the blog again and say how much I adore your takes! You know I love these, Alyssa! Great job! (and thanks again for featuring the challenge) Thanks so much for joining us on the Runway!